petition: Fire Teacher Who Attacked Student for Sitting During Pledge of Allegiance! Fire Teacher Who Attacked Student for Sitting During Pledge of Allegiance! A middle school teacher in Lafayette, Colo., named Karen Smith, allegedly attacked one of her students for refusing to stand for the Pledge of Allegiance. Another student says she witnessed this student running out of her classroom after hearing her yell, "Trump will make American great again! Obama should die!" 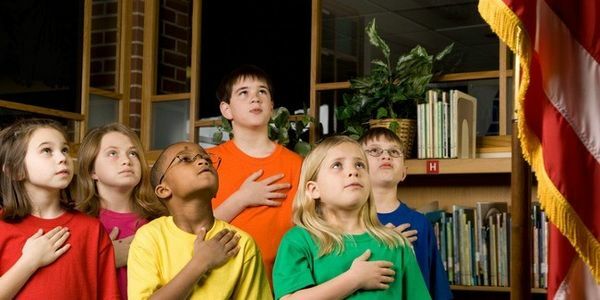 There are few reasons to justify laying a hand on a child, especially as a teacher, but even fewer when it comes to participating in the Pledge of Allegiance. Smith is currently on paid administrative leave (in other terms, paid vacation) while police conduct an investigation. This is simply unacceptable. Not only should Smith no longer be receiving pay, she should be summarily dismissed from the Boulder Valley School District. If you agree, please add your name to this petition and make sure to share it with friends and on social media! Great news! Karen Smith has been charged with child abuse and third-degree assault. However, she still has not been dismissed by the Boulder Valley School District. Please share this petition to keep the pressure on!